Serves 4. Ready in 45 minutes. Only 5 carbs per serving. 1. Clean cauliflower and break apart into medium-sized pieces (discard center stalk). 2. 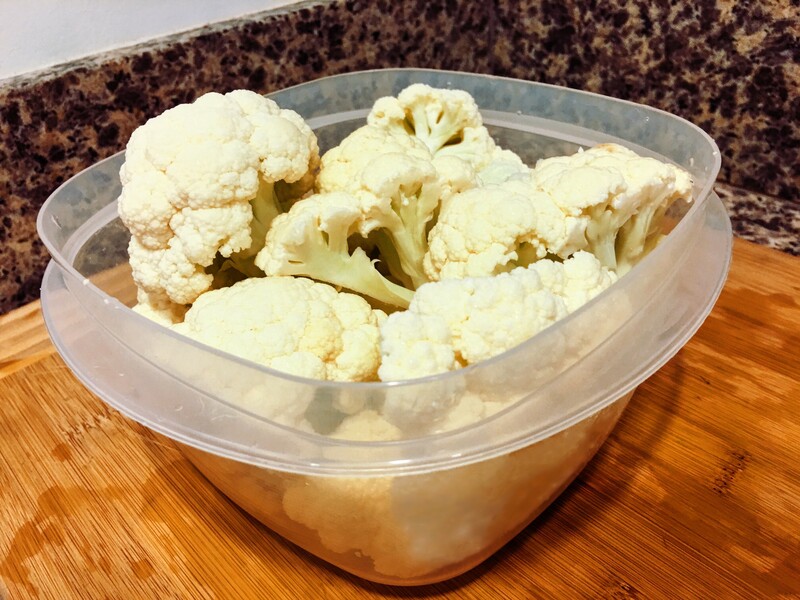 Place cauliflower in a microwave-safe bowl/container and add 2 tbsp of cream cheese and 1 tbsp of butter. 3. 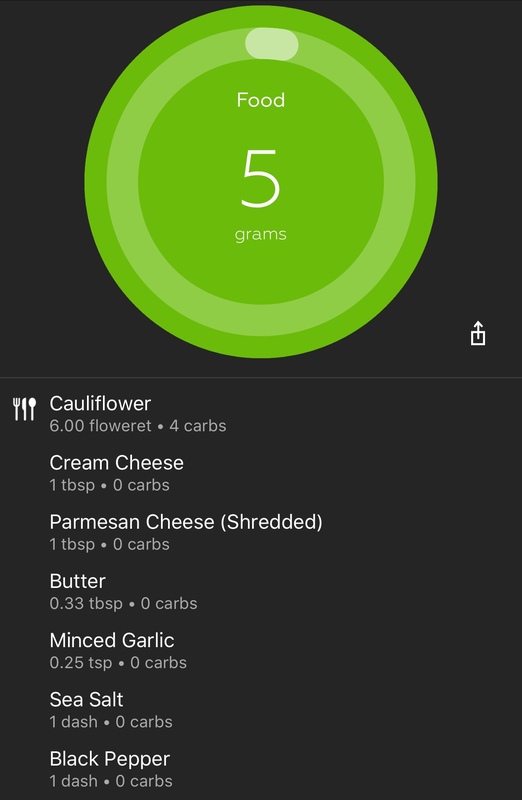 Microwave on high until caulifower is soft (~10-12 minutes), stirring halfway through. 4. 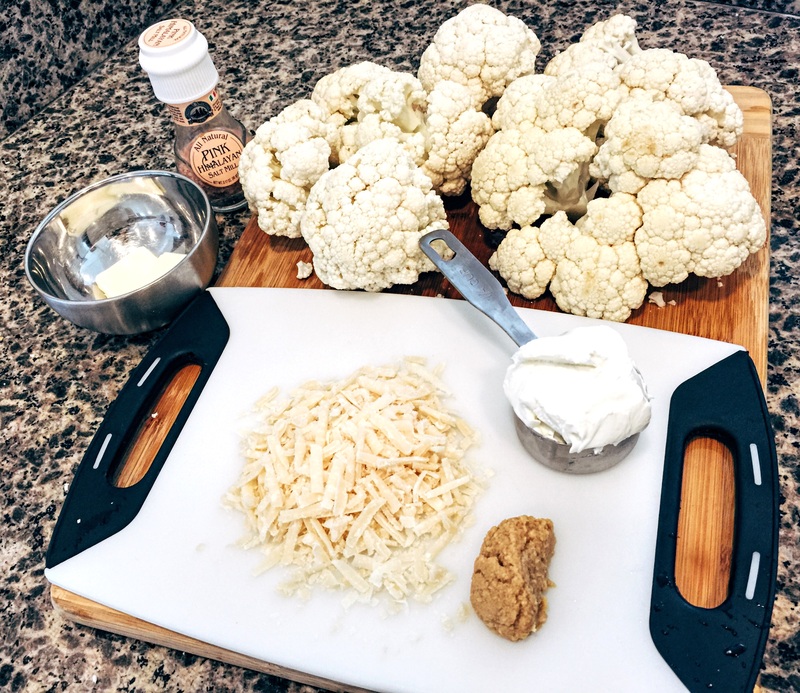 Add the cheddar/parmesan cheese, garlic, salt, and pepper to the mix of cauliflower, butter, and cream cheese. 5. Toss in food processor or blender to blend thoroughly. 6. 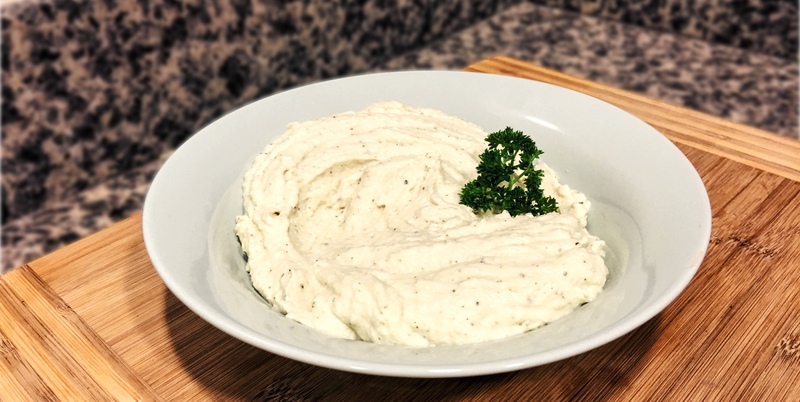 Taste and adjust as needed: (i) add more cream cheese for creamier mash (optional); (ii) add salt & pepper to taste (optional). Serve with steak, fish, or chicken -- it all works!